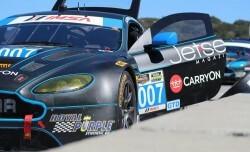 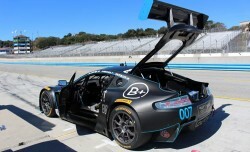 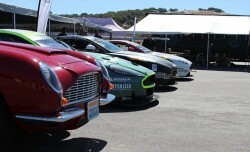 The first ever North American Aston Martin Festival was held over Labor weekend at the Mazda Raceway at Laguna Seca. 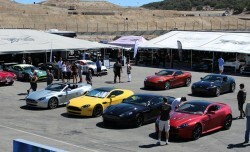 The festival welcomed owners, racers and enthusiasts alike, offering the opportunity to see road and race cars in action. 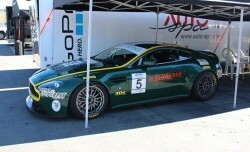 The event allowed Aston Martin owners to drive the famous circuit in their cars, as well as offering enthusiasts the chance to ride with a proffesional driver in an Aston Martin GT race car.